Still no peace in the Holy Land for Christmas and the Holiday Season 2016. Even more signals of confrontation in 2017. Too many hawks – very few peace doves in the Holy Land – on both sides. President-elect Trump supports Israel under all conditions. He nominated David Friedman, a right-wing sponsor of Israel’s illegal settlement enterprise, to serve as US ambassador to Israel. Trump wants to transfer the American Embassy to Jerusalem as one capital of Israel. He supports a Great Israel including the occupied West Bank with unlimited new settlements leaving the Palestinians few room to live in their country. He asked the Obama administration to veto the latest UN Security Council resolution 2334 in December 2016 and promised to veto such resolution in the future. Trump is the dream-come-true of all hardliners. Israel’s government wants it all for Israel: all land including East Jerusalem and the West Bank and a kind of ‘peace’ with the millions Arabs living there as well and a pure Jewish state. Is this naive and counterproductive or possible long term? Just before the holiday season 2016 the Obama administration allowed the United Nations Security Council to adopt a resolution that condemned Israeli settlement construction. No veto by the US administration shows a lot of frustration over Israeli settlements. Under international law occupation forces are not allowed to take over the land and build settlements- this is the consensus of legal experts and the position of the US, the EU and almost all other countries in the 195 member United Nations. While Russia is blamed to annex Crimea by the US and the EU, the same is done with settlements in the occupied West Bank. Trump wants a u-turn pro Israel. The American abstention on the vote in the security council of the United Nations broke the policy of shielding Israel from action at the United Nations under all conditions. The Obama administration is since years critical of Israel’s settlement building, describing it as an impediment to a two-state solution in the Israeli-Palestinian conflict that has long been the official United States position. The resolution condemned Israeli housing construction in East Jerusalem and the occupied West Bank as a “flagrant violation under international law” that was “dangerously imperiling the viability” of a future peace settlement establishing a Palestinian state. The 15-member Security Council voted on the measure, which passed 14 to 0, with the United States ambassador, Samantha Power, raising her hand as the lone abstention. Mr. Netanyahu immediately ordered Israel’s ambassadors to New Zealand and Senegal to return home for consultations, canceled a planned visit to Israel next month by Senegal’s foreign minister and cut off all aid programs. Senator Lindsey Graham of South Carolina threatened to take steps that could “suspend or significantly reduce” that financing.. Lets have a closer look into the peace-options for the Holy Land. In 2016 Shimon Peres passed away. He was Mr. Israel. He was awarded the Nobel Peace Prize for the Oslo Peace process. We last met in his residence in Jerusalem (picture) and during the visit of Pope Francis in the Holy Land in June 2014. 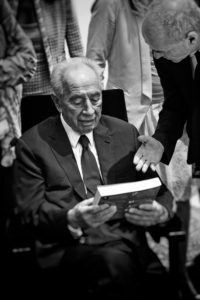 What is the peace legacy of Shimon Peres (1923-2016)? He had a unique career: once president (2007-2014), three times prime minister (1977, 1984 and 1995), three times foreign minister (1986-1988;1992-1995 and 2001-2002), as well as two times defense minister (1974-1977 and 1995-1996), and minister of finance and transportation as well. Peres was the main man behind Israel’s top secret atomic bomb program, as early as 1957, supported by France. He came to this land with his family as a poor refugee from Poland, born 1923. 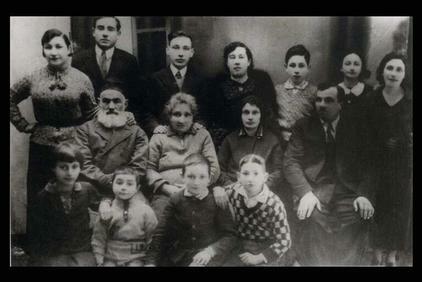 Here with his large family in 1930, standing third from right side. Shimon Peres started as a hawk and became a dove. He was awarded the Nobel Peace Prize together with his friend Yitzhak Rabin and his arch-enemy Yasser Arafat for the mutual agreed Oslo Peace agreement in 1994. The prize was, as the chairman of the Nobel Committee Francis Sejersted pointed out, “awarded both in recognition of efforts which have been made, and to encourage still further efforts”. “Peres is the last of the three to pass away. Now, it is up to others to continue the work for peace in the Middle East, and fulfill Peres’ goal of a Middle East «in which men are each other’s hosts, not hostages”, the Nobel Peace Prize Institute in Oslo wrote. He became a man of peace-making, because as a soldier he knew too well what war means. 21 years after the assassination of Yitzhak Rabin, his Oslo peace process is dead. New riots in Jerusalem and the West Bank. New settlements in the West Bank. Hard liners prevail, hawk and no doves left. On both sides. In May 2016 Moshe Ya’alon, the moderate defense minister of Israel since 2013, has resigned, citing severe disagreements with Prime Minister Netanyahu about the political fundament of the policy of the State of Israel and the soul of the first Jewish state. A fresh start is required now more than ever. For Israel and for Palestine. The official end of the hopes from Oslo and killings in Jerusalem once again tells us, what to do now to reach peace in the Holy Land. 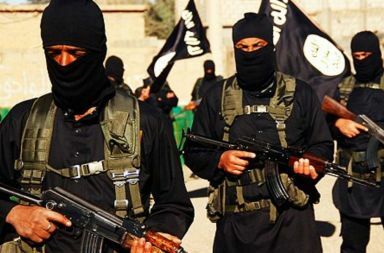 The unsettled and explosive situation throughout the entire Middle East; radical forces in the Gaza Strip and in Lebanon, now strong ISIS terrorists in Syria and Iraq. Iraq worse than before the US invasion in 2003. Tehran’s influence strong next door, still flirting with the bomb. These examples show that the old peace strategies and concepts of Israel, the U.S., and the EU have all failed in this important region of the world. It is time for a U-turn in foreign policy and a fresh active peace strategy according to our approach, World 3.0. Israel, the United States and and the European countries urgently need a credible, realistic, and promising New Peace Double Strategy. They should learn from the many mistakes and illusions of the past and follow a dual track of hawk and dove; a promising double approach of Uzi – the famous Israeli sub machine-gun – and olive branch, of deterrence and reconciliation. Despite current setbacks – the power gains of radical forces and many negative television images – viewed in a historical context, peace is possible between Jews and Arabs. The common interest of Israel and its Arab neighbors and the majority of the Arab people is containment and neutralization of the Islamic totalitarian threat. This threat is life endengaring to all Arab governments and the silent majority of Western-oriented populations, including important states like Lebanon, Egypt, Jordan, Saudi Arabia, and the prosperous Gulf States like Qatar. Photo: In the Presidential Residence in Jerusalem in June 2014, Globalo Founder Dr Hubertus Hoffmann presented Israel’s President Shimon Peres his biography about his mentor for 25 years, Dr. Fritz Kraemer (True Keeper of the Holy Flame. 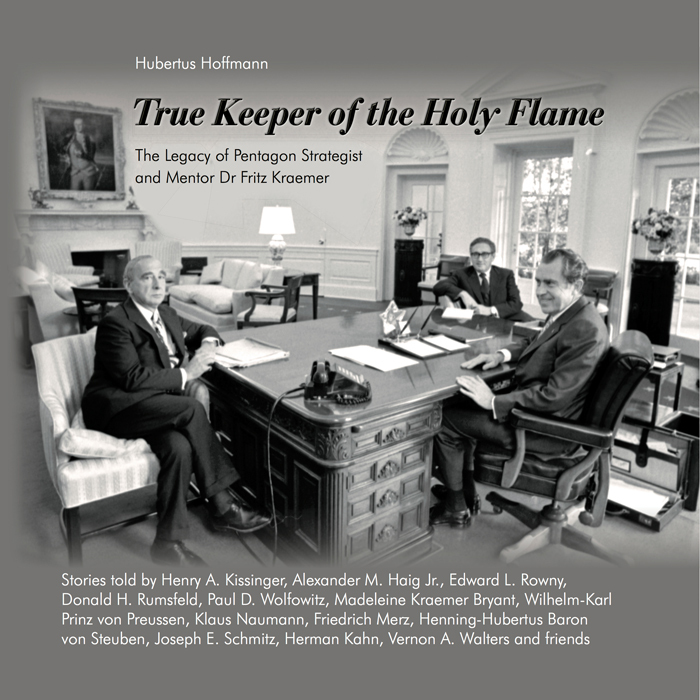 The Legacy of Pentagon Strategist and Mentor Dr. Fritz Kraemer). This Prussian emigrant from Germany became the iron mentor of young Henry Kissinger and Alexander Haig and a legendary Pentagon advisor. His father, first prosecutor and major in reserve Dr. Georg Kraemer, a converted Lutheran from Koblenz in Germany, was deported July 27 and died in KZ Theresienstadt November 1, 1943, due to his long time Jewish family background under Nazi law. Israel’s military responses to riots in Jerusalem, the West Bank or Hamas’s rocket from Gaza and any terrorist can only prevent attacks on Israeli territory for a limited time. It cannot bring about lasting peace. It even produces more and more hate and fighters with rockets and stones. 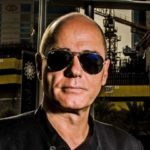 Israel needs – in the interests of its own survival – a new peace policy consisting of the “Uzi and the olive branch”: a credible double strategy of reconciliation on the one hand, and deterrence through both military operations against terror organizations and conventional and nuclear weapons on the other. There is no other way to make Israel safer. In the next one hundred years, Israel will only be able to survive in its historic location, surrounded by a numerically superior enemy rich with petrodollars, frustrated Palestinians and radical fighter, when it places reconciliation with its Arab neighbors as “conditio sine qua non” of a genuine Israeli peace policy, and supports reconciliation with just as much energy, imagination, patience, and money as the necessary but insufficient military operations against terrorists. Israel needs a reconciliation offensive to supplement the necessary traditional military and power politics. Until now the government does nothing for reconciliation. Thus the radicals will win in waves of hate again and again. One of the most intelligent societies in the world threatens to fall into the trap of its deadliest enemy. An active policy of reconciliation would work like an antidote against the hostile propaganda of Hamas, the Hezbollah, and the arch enemies in Damascus and Tehran or IS. Only this would make lasting peace for the children of Israel possible. Israel is at a crossroads again: Do they lose one friend after another – including the U.S. and many European countries which are frustrated with the bombing of even UN schools in Gaza – or start a new way of thinking, a new double strategy of power and reconciliation. Israel is in danger. It can win a tiny war in Gaza, but loose the big battle and its fundament. The same happened with the Crusaders in the 12th century: after many years of peaceful co-existence came radical and confrontational leaders like Guy of Lusignam and Raynold of Chatillon – along with death and destruction. The Crusaders never understood the art of peace-making. It lacks the more important soft factor of peace-making: a reconciliation process with the Palestine people, a new détente with the Arab world. This would not be weakness, but cleverness and necessity. Or as Eric Hoffer once said: “A war is only won after you have turned your enemy into a friend.” Israel should carefully plan and implement a new reconciliation policy with the Palestinians as an equally important pillar of its security. It needs a fresh new double strategy of hawk and dove, uzi and olive branch. No wonder the new Gaza-war started in Hebron. 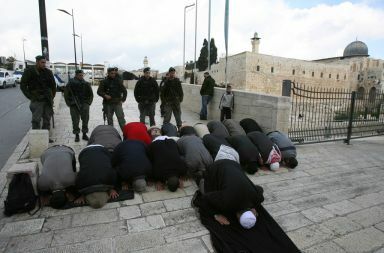 When in February 2010 the Israeli government included the grave of Abraham – Ibrahim to Arabs – in the Palestinian city of Hebron on the list of “Israeli national heritage sites” this was not only a clear violation of international law but also suicidal against Israeli national interests as it poisoned the weak tree of peace in the Holy Land. Appointment of a new cabinet member responsible solely for the reconciliation policy of the Israeli government focused on the Palestinian Authority and Lebanon. The position must come with its own staff and a large budget. Otherwise this important pillar will be buried, as now, in the standard procedures of other ministries. A fundamental report on all best practice examples by the government taking advantage of the thousands of grassroots projects of peace movements like One Voice, who have enormous knowledge and networks and a focus on fast track actions and longer term recommendations. An annual Tolerance Report to Parliament by the government on the progress of reconciliation, as done in many countries on arms control and environmental protection. An Ombudsman of the Parliament collecting all complaints of Palestinians and others and attempts to resolve them. The Palestine Authority must make much clearer that the killing of civilians and the bombing from Gaza of Israel is illegal under the rules of Jihad and Islamic law which never allows the killing of civilians but only the direct attacker in self-defense. The PA must stop its perverse hate-propaganda and turn to reconciliation as well. But Israel should not wait. 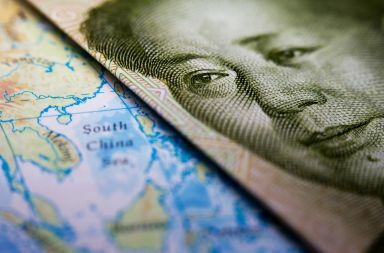 It must start its own policy of reconciliation now or it will lose the Big War. This is the real task for Mr. Trump. Let us hope he and his team understands it. A New Nuclear Arms Race between US and Russia in 2017?